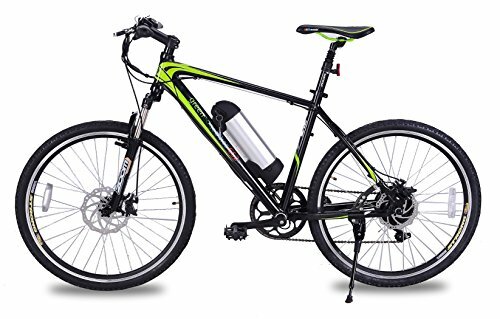 The lightweight alloy Mountain Bike frame is equipped with a 36V 9ah lithium battery, front and seatpost suspension, disc brakes front and rear, side stand and Shimano gears. It demonstrates efficient torque on the hills, a comfortable ride and reliability. Making the Greenedge CS2 the perfect ebike for commuting and leisure cycling. SUPPLIED ASSEMBLED with only the pedals requiring simple attachment and the handlebar needing to be straightened upon delivery.